EO® is a leading manufacturer of natural and organic products that are great for you and the earth. They are a small, family owned and operated business and a Certified Organic Manufacturer of personal care products using the highest grade natural and certified organic ingredients located in Marin County, California. They create products that are natural, gentle, effective and free from animal testing. Their product line encompasses more than 100 items containing signature essential oil blends (EO® stands for Essential Oils). Essential oils are steam distilled directly from flowers, leaves, bark and wood without any adulteration or synthetic additives, as it was intended directly from nature. All of the products are free of artificial colorants, fragrances, parabens, sodium laureth/ lauryl sulfates and harsh synthetic ingredients. I was lucky enough to get to try out the holiday products that EO just came out with for the gift-giving season. I got to try the new Limited Edition Hand Soaps as well as a Luxury Bath Gift Set 'Serenity'. 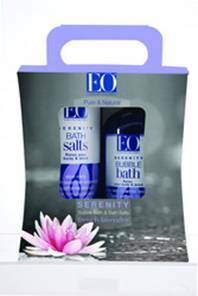 The EO® Luxury Bath Gift Set ‘Serenity’ includes a 12oz French Lavender Serenity Bubble Bath and a 22oz French Lavender Serenity Bath Salt, all encased in a beautiful gift box, ready to give as a gift. The therapeutic benefits of purifying bath salts and bubble bath pamper and indulge. The French Lavender scent is awesome and this bath set is very luxurious. This would make a great gift for that hard-working woman in your life, whether it's your mom, sister, friend, or even yourself! We all know you deserve some relaxation too! The Limited Edition Holiday Hand Soaps offer the sweet fragrant gift of citrus. 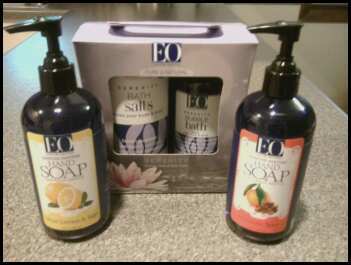 EO® has captured the essence of Meyer Lemon and Mandarin with these fragrant Hand Soaps that are limited and available only during the fall and winter of 2010. The Mandarin Spice Hand Soap is a perfect scent for the upcoming holidays - it really reminded me of Thanksgiving and Christmas time. Now that the weather is starting to cool down, the spicy-sweet scent of mandarin essential oil blended with cinnamon and clove is warming to the senses. In contrast, the Meyer Lemon & Sage Hand Soap is a lighter blend that includes the coveted Meyer Lemon scent. Tart and fragrant citrus oils are the heart and soul of this signature blend, and it provides a sweet escape for the winter months. I've really enjoyed using both of these hand soaps, not only do they leave my hands smelling great and lift my mood, but they are gentle and effective in hand washing. I also love the dark blue bottles, they look so classic in my bathroom! EO's holiday gift products smell wonderful and work great. 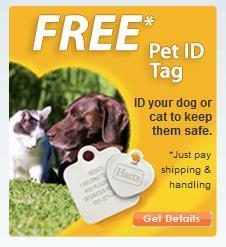 They would make great gifts for anyone on your list this Christmas. EO offers many other products including hair care, perfume, and cleaning products as well as pure essential oils. I really like that the company is family-owned and that all of their products are natural and don't contain unnecessary colorants or synthetic ingredients. It is good to know that what I'm using on my skin is pure and natural, and smells great to boot! Buy It: You can purchase EO products online or at Whole Foods Market and other fine Natural Food Stores. The Serenity Luxury Bath Gift Set retails for $21.99 and the hand soaps retail for $8.99 each. Mandatory Entry: Visit EO online and tell me what other product you'd like to try. Disclaimer: I was given EO Products free of charge for the purpose of this review. All opinions are my own experiences with the product. Individual results may vary. No other compensation was given. I will say bubble bath sounds nice, and the Rosemary Mint shampoo. I use Aveda and if I can find something that works as good and smells as good (and cheaper) I would def switch! And I get these fun emails from you to remind me of all the fun things! I would like to try the essential oils. Just kidding! I would prolly get some shamp. Follower of C4l on google. I am an email sub. My sister showed me this site. I love the Antibacterial wipes of EOs! They smell so nice and I like the Spray antibacterial. I found your site via EO's Facebook page. I would like to try the body lotion and the hand made soaps. Thanks so much for linking up to Suzy's GiveAway Bonanza! I purchased EO hand soap at Good 4 U, my local health store. I went back and purchased one for work and two more from my house! I love the fragrance as I am washing my hands, but does not leave a lingering "smell" after I rinse. My hands feel so smooth and clean! My construction worker husband especially loves the aloe, lavender, and white tea formula! Thanks for an awesome product! I am following EOP on Twitter! I found out about your website from a friend! I would love to try the Lavender body lotion because I love that scent and go through lavender like crazy. found your site on FB, EO posted it. I's love to try anything w/ Coconut Milk i it. I'd lie to give their shave cream a try. I'd like to try the shaving cream. 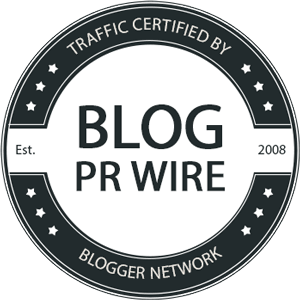 you gave me your site!